A woman was left severely injured, with broken vertebrae and ribs, after family's jet ski malfunctioned and exploded, throwing her 30 feet into the air. A woman is lucky to be alive after she broke her back when a jet ski exploded and launched her 30 feet into the air. 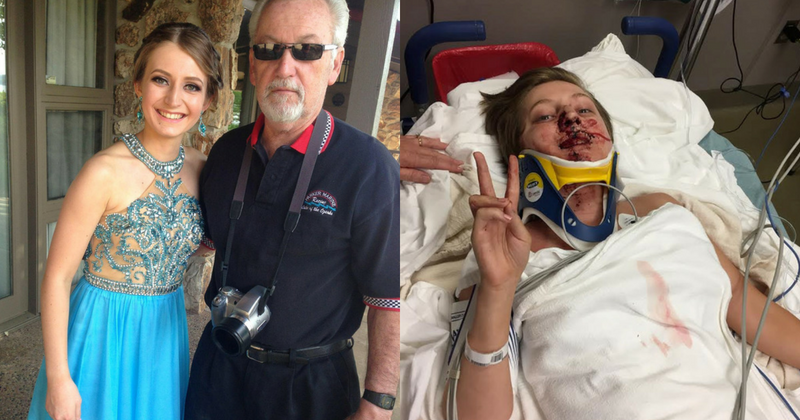 Christina Parker, 20, was knocked unconscious, broke three vertebrae in her spine and several ribs, when her family’s 2001 Polaris jet ski malfunctioned. She was sitting on the jet ski as her dad Steve Parker lowered it into the water from a trailer attached to his Jeep Wrangler. But Christina, a digital film-making student, was catapulted 30 feet into the air after the jet ski exploded when she started its engine. It is estimated that Christina hit the 5ft deep water at 50 miles per hour, which resulted in her shattering three of her vertebrae. 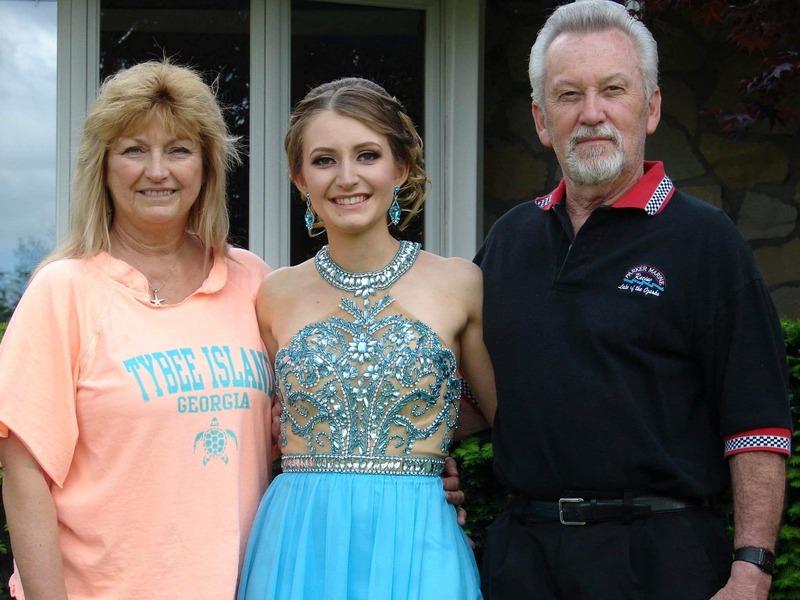 Christina’s dad Steve, 69, a marine business owner, initially thought a tire had blown on his car before he noticed his daughter lying face down in the water. 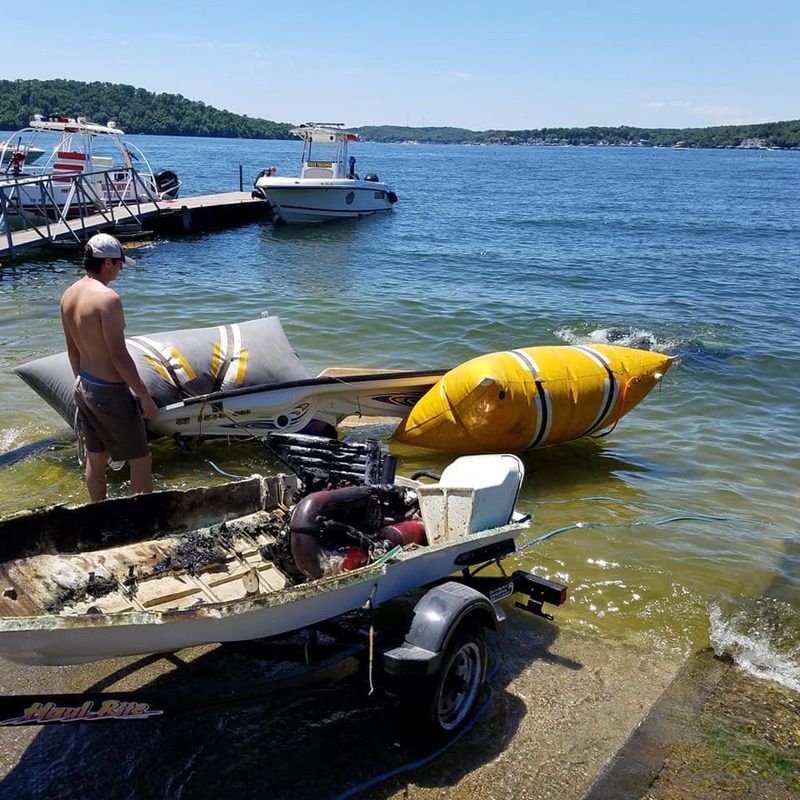 He said it was a "miracle" she survived the incident at Coffman Beach, off Lake of the Ozarks in Rocky Mount, Missouri, USA, on June 8. Steve, of Eldon, Missouri, said: “That moment I heard the explosion I didn’t know what happened. “When I got out of the jeep, the PWC (personal watercraft) was gone and so was Christina. “That was when I noticed the PWC on fire to my right and I saw Christina in her pink and purple life jacket just floating face down in the water. “I thought she was dead in those moments. And then I was in the water, wading through it towards her body. I turned her around and she asked me what happened. “Her face was covered in blood but I’ll never describe the relief I felt in that moment when she spoke to me. “I pulled her out of the water, and by this time the tank had melted and caught fire. A nurse happened to be at the scene and he helped us. Christina added: “A witness said I was thrown 30 feet into the air before I hit the water again. "The next thing I remember is my dad pulling me out of the water. I was in so much pain. I kept thinking, ‘This has to be a dream’. Steve drove Christina to their local urgent care center before she was rushed to Lake Regional Hospital in Oosage Beach, Missouri in an ambulance. 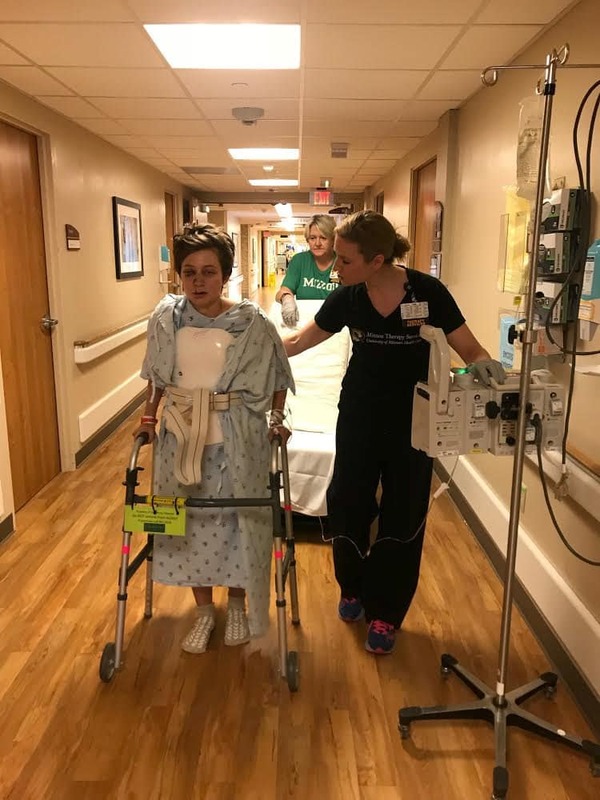 Doctors determined that the 20-year-old had fractured her T8 and T10 vertebrae and shattered her T9 vertebrae as a result of the accident. Christina also broke several ribs, damaged ligaments in her ankles and needed stitches to treat a laceration on her lip. She was transferred to University Hospital in Columbia where she spent six nights as doctors assessed her for surgery. Christina now has to wear a protective brace 24 hours-a-day to stabilize her spine as it heals and may need surgery in the future. She added: “Right now I’m in a brace all the time and I will be for eight more weeks. I wear it even when I shower. “I had broken ribs, I had broken my my nose on both sides, I had to get stitches in my lip. Steve believes the incident was a freak accident and says it is a miracle his daughter is alive. “I can’t believe she survived. It is a true miracle," he added. The nurse who helped us at the scene said she flew 30 feet into the air before slamming into the water on her back. We’re lucky she didn’t hit the trailer. Kevin Hurtubise, chief fire officer of the Rocky Mount Fire Protection District, said the high temperatures in Missouri may have contributed to the accident. “When we recovered the PWC, it had completely blown in two. “While we don’t know the exact cause of the accident, we have had substantial heat here in Missouri these last few weeks and we would advise people to take off the seat to cool off before pressing the start button. Polaris have been approached for comment.